I am warning you right now, this was ridiculously good...and addicting. I made it to bring to a party, but with everything else I was bringing, I left it at home on the counter. Whoops! When we got to the party I realized that I had forgotten it and was pretty bummed. When we got home that night I saw it sitting there, all lonely and forgotten, and suddenly I was very happy about my oversight. The cupcake muddy buddies were ALL. MINE. Insert big heart shaped eyes and a cake batter grin here. This mix tastes like a vanilla cupcake with chocolate frosting and sprinkles. A party in your mouth, people. In a large microwave safe bowl heat the chocolate until melted and stir until smooth. Pour in the Chex and stir gently until coated. 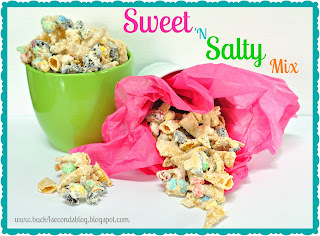 In a paper bag shake the coated cereal with the sprinkles and dry cake mix. Pour onto wax paper until the chocolate sets. Store in an airtight container. 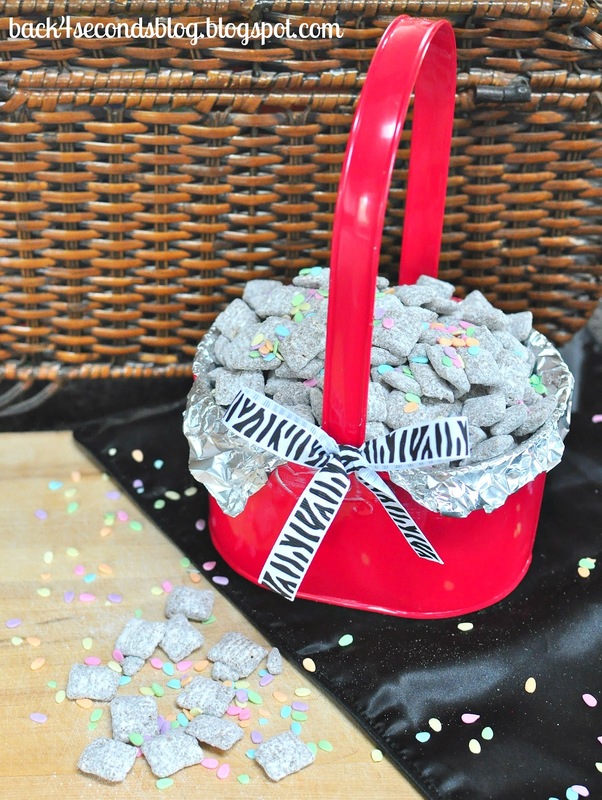 Here are some other killer snack mixes. 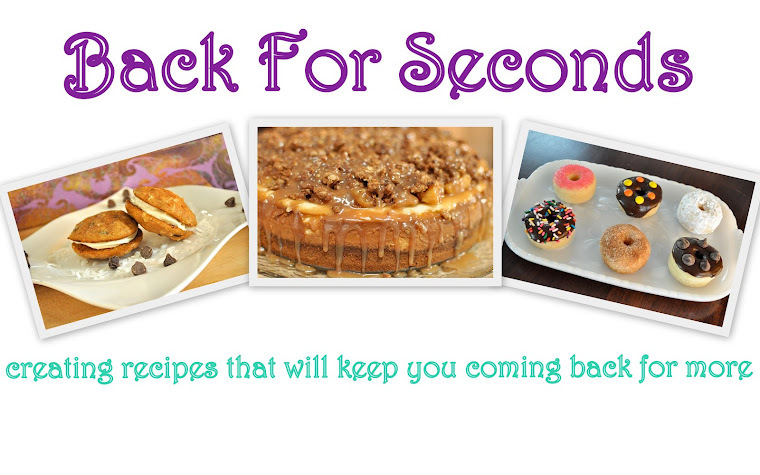 Click the pictures to get the recipes! 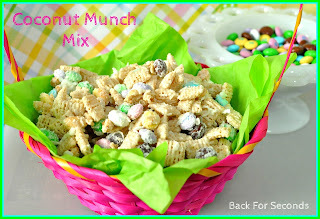 This Coconut Munch Mix was my very first post!! Yes yes YES. Extra sprinkles on my portion please :) (oh, who am I kidding with this 'portion' business--I'll eat the whole batch). Don't you hate when you realize you've left something awesome behind but LOVE when you realize it later? Selfish muddy buddy snacking is the best kind! The fact that this has very few ingredients means that I'll make it. Cake mix makes everything better. Oh god. I must make this soon. Like, tomorrow. Cake mix rocks! Goodness...I just gained 5 pounds! Found you thru the blog hop! Following! YAY! These look so delicious!!! 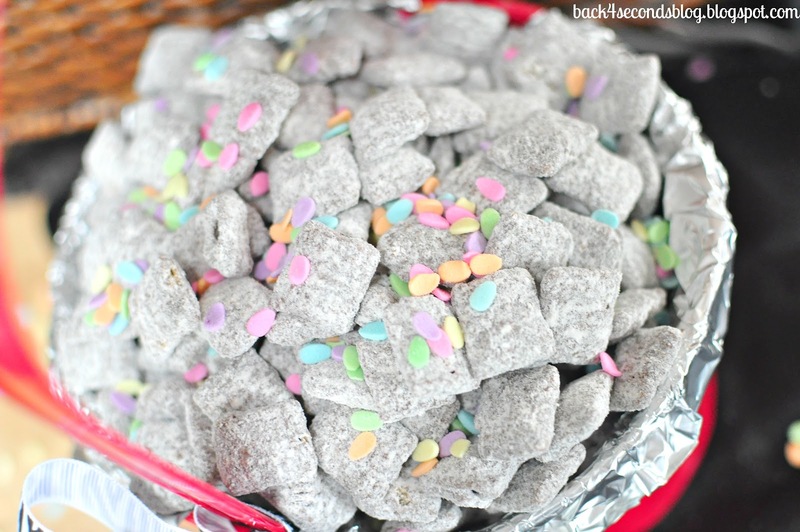 I love muddy buddies!!! Love this variation! 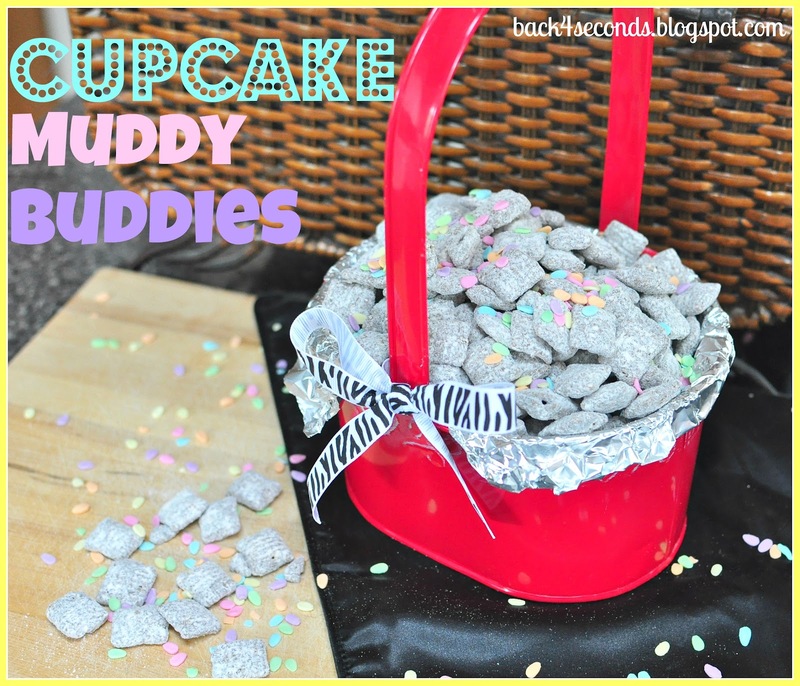 Muddy Buddy mix is my all time favorite! These look delicious! Cake mix can make anything taste better :) Found you through the blog hop & I'm your newest follower! Stopping by from the Network Blog Hop. Following you now. oh that is just fate telling you never to share with others, yum! Yum!!! 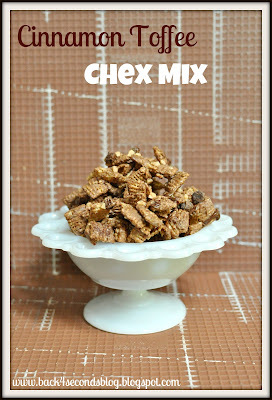 I love anything with Chex mix. Sounds like the perfect dessert snack! Found you through the blog hop - newest followe! 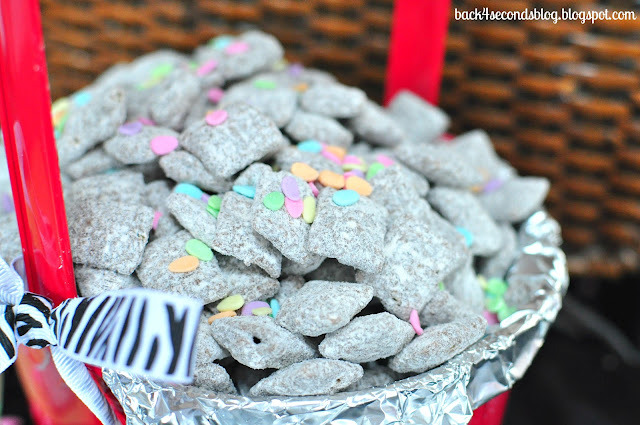 I have yet to try a "muddy buddy" recipe; these look SO good! Just had to pin this for later. LOOKS SO GOOD. Thanks for sharing. Also a new follower.! yummy, I would have never thought to use cake mix! Yum! Thank you for sharing on Saturday Show and Tell. I hope you'll join us again this week with some more great ideas! mmmmmmmmmmmm sounds yummy! never heard of using dry cake mix before! I have actually never made Muddy Buddies myself! All your amazing variations may be too tempting for me to resist though.